In December 1995 Nikon Technologies Inc. introduced a box with three special lenses. They are not produced by Nikon Imaging or its camera or lens production unit! 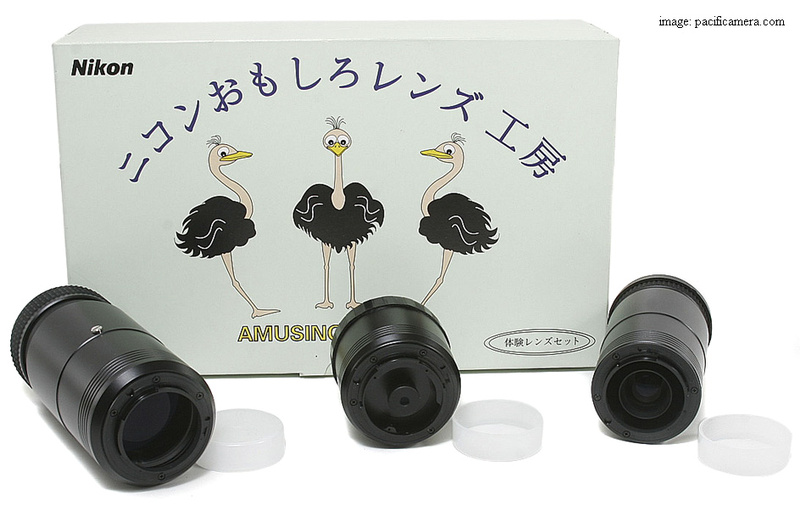 The lenses came in a funny box (see picture) and were sold on the Japanese market only. They became available in 1996 only, but Nikon Technologies gave them a new life - as Nikon Fun Fun Lenses - in 2000. Production run may be rather low. All lenses do have the F-mount in AI/S version, so they may fit nearly all Nikon single lens reflex (SLR) cameras; for film and those with a digital sensor. There is no aperture ring, as all aperture are fixed. Nikon 8/20 mm., presented as a fisheye lens, but it does not cover the known 180°, but just 153°. 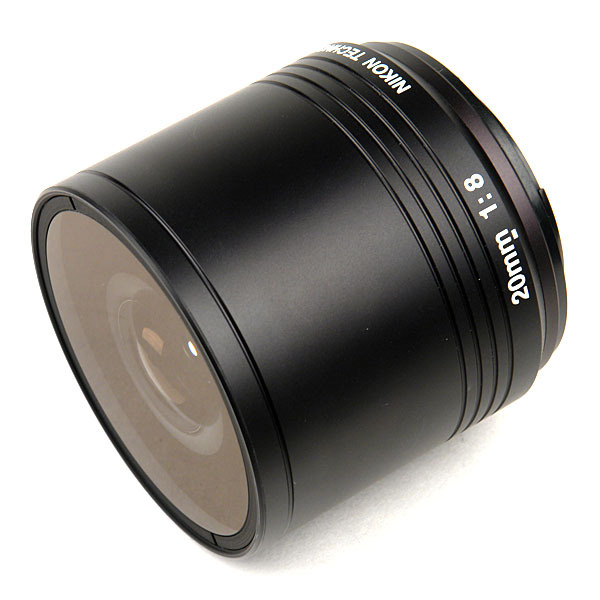 It is a fix focus lens with no diaphragm, so you can't close the aperture if needed. The lens is sharp from infinity down to about 1 meter. It has just 3 elements in 2 groups and weighs in at 235 gram. Nikon 4.5/120 mm- 4.8/90 mm. 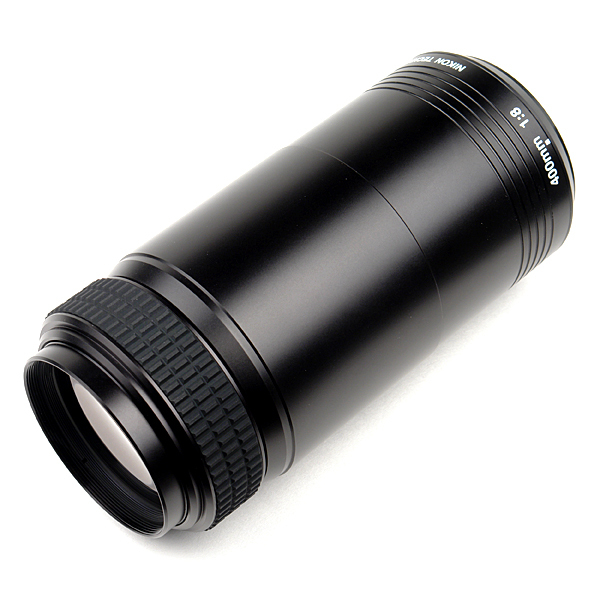 This lens is a 4-piece-tube with which it is possible to create two lenses; again without diaphragm and with limited focusing options. 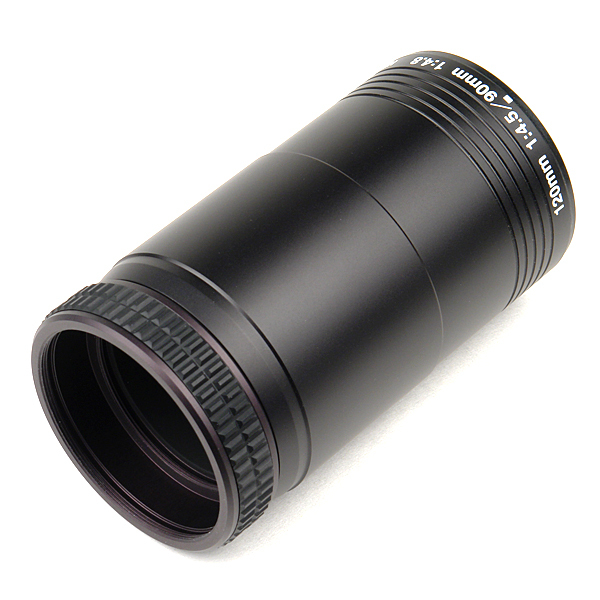 The 4.5/120 mm unit has 3 elements in 2 groups, the 4.8/90 mm has 2 elements. The whole set weighs in at 300 gram. Nikon 8/400 mm has also a fixed aperture and focusing is possible with pulling out the tube. Although focusing with an AF-camera will be difficult as most cameras do not assist auto focus at an aperture of f/8.